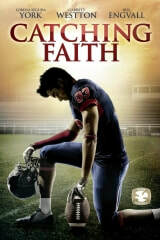 In Catching Faith, John and Alexa Taylor have the perfect life, and their son is the high school football star. But when Beau is caught drinking, they must find the spiritual courage from within to prove that faith and family is the only score that really matters. I was 2nd AC.